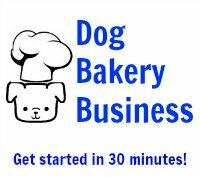 Q: I make all natural dog treats to sell, but the one issue i have is longevity of the product once ready to sell. I do not currently add in artificial preservatives and the product is presented in a heat sealed pouch and silica gel sachet to soak up moisture. Any other tips you can give would be gratefully received. A: Make sure your pet treats are 100% dry before you seal them in a bag. Make sure all the moisture is gone! You may have to dehydrate them to get a "crunchy" consistency. You may wish to add mold inhibitor to the dough as you do not use preservatives. Q: How can I preserve dog treats naturally? A: There are various preservatives to choose from. The word "preservative" implies that the substance is a chemical. There are substances to use to keep your treats all natural that act like preservatives and prolong the shelf life of baked goods but are actually natural substances. Ascorbic acid, a synthetic form of Vitamin C, is a natural substance found in fruits and vegetables. Adding it into a recipe will help thwart the growth of mold. It can sustain heat which is why bakers prefer the synthetic form. Natural Vitamin C is destroyed by heat. Use 1/8 to 1/4 teaspoon per 1 cup of dry ingredients. Rosemary oil is sometimes used. There is one important issue with this substance. It has its own distinct aroma. If you have ever smelled or tasted rosemary you know exactly what this is. If you choose to use rosemary oil, keep in mind that the aroma will spread throughout the dough. The amount to use is 1 3/4 teaspoon to 5 pounds of butter or oil. Another natural substance often used by bakers is dried egg. However, it is usually processed with potassium sorbate which works to prevent mold, yeast and bacteria from growing this prolonging the shelf life of the baked goods. Therefore you can just use potassium sorbate. 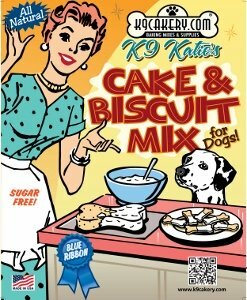 The amount indicated is 2 teaspoons liquid potassium sobate to 5 pounds dog treat mix. Vitamin E works as an antioxidant. Its main function in baking is to prevent the spoilage of fats. It comes in oil or powder form. Use 1/4 teaspoon per batch of treats. It is highly recommended if you are using a recipe calling for oil as an ingredient.